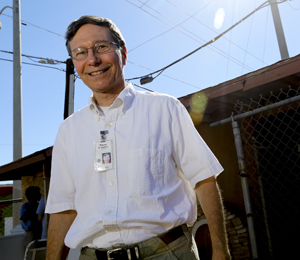 If you’re a returning volunteer, simply call us at 602.261.6886 or email volunteer@svdpaz.org. Help repair donated bicycles, which will either be sold in our thrift stores or given to people who need transportation to school or work. Help keep our thrift stores running by sorting donated items, organizing merchandise and providing excellent customer service. We offer showers, haircuts, hygiene items, clothing, counseling and transportation assistance. Duties include schedule coordination, clothing and toiletries distribution, inventory upkeep, clerical duties, documentation and hospitality. Opportunities to help tutor or lead children's activities in our Family Dining Room weekdays from 4-6:30PM. Use your skills to assist the various departments that support the mission of St. Vincent de Paul. Duties include clerical assistance, data entry, copying, filing, grounds keeping and special projects. Each year, more than $3.6 million worth of medical and dental services are provided to uninsured, working poor families. These vital services are made possible by dental and medical professionals who volunteer and donate their services to serve those in need. Not sure what you’d like to do, but you know you want to help? Do you have a special skill or interest you’d like to share with us? We have many special projects for which we’d love outside expertise. Fill out an application, come for a tour, let’s chat! A transitional housing shelter for homeless men and women. Volunteers needed to assist with clerical tasks, case management, recreation, and life skills training. Provide hospitality, meal service and general support for traveling families. More specialized jobs include volunteers to organize children's activities, help make travel arrangements and provide basic triage medical care. Spanish language helpful, but not required. Our gardens are growing, both produce and in size. 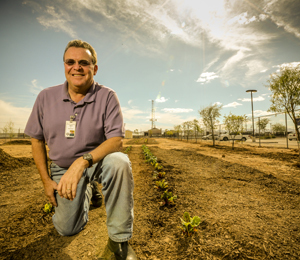 These gardens create fresh fruits and veggies that we can both serve in our dining rooms and hand out to needy families. Children participate in activities such as filling hygiene bottles with soap and shampoo, decorating dining rooms, creating thank-you cards for our volunteers, and making table centerpieces which are often taken home by guests who treasure their beauty. St. Vincent de Paul operates five dining rooms across the Valley. Duties include set up, serving, bussing tables, and clean-up. Our food bank receives donated food from grocery stores and food drives. Volunteer are needed to sort, clean and ensure that foods meet quality control standards. 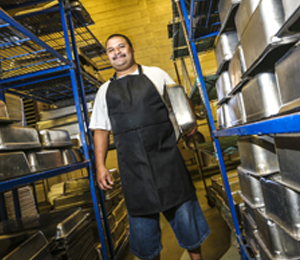 Our central kitchen prepares more than 3,500 meals a day. The meals are distributed to our five dining rooms and other nonprofits. Duties include opening cans, dicing vegetables, and making sandwiches. Friday Night Pizzas are a beloved tradition at St. Vincent de Paul. Volunteer and learn how to make handmade pizza! Duties include dicing vegetables, tossing dough and adding toppings to pizzas.